As life goes on, sometimes it drags on, doesn’t it? Our gait slows, our heads droop. Saggy faces see only the ground, the dust, the litter, and garbage. When we look and think only about our own little worlds, the ones we’ve constructed, our lives can seem small and cramped and brittle. Things break. People let us down. Things we’ve woven unravel. Things we’ve built soften and erode like sand castles at the beach. “Lift up your heads,” the Bible tells us. See things from God’s point of view, God’s intent, God’s design. See where you fit in both in this world and the next: “[God] has made everything beautiful in its time. He has also set eternity in the hearts of men; yet they cannot fathom what God has done from beginning to end” (Ecclesiastes 3:11). The poorest person in the world can enjoy a fiery sunset for free—how long has it been since you sat still and just gawked at God’s celestial paintbrush? or got out of town and stood in silent wonder beneath the stars on a cloudless night? or watched the surf ceaselessly smash into a rocky coastline? Even better—how long has it been since you savored the Bible’s descriptions of how beautiful heaven will be? God put eternity in your heart for a reason. Build a stronger global community of faith! We want to encourage and equip you to be a force for unity among the global church by sending you a copy of Pastor Jeske’s new book, Grace for Every Race. You’ll learn what the Bible says believers in Christ can do to overcome racial divides and build an even stronger community of faith. And you’ll get practical advice to help you see more clearly, think more clearly, and listen better as you interact with people of other cultures. 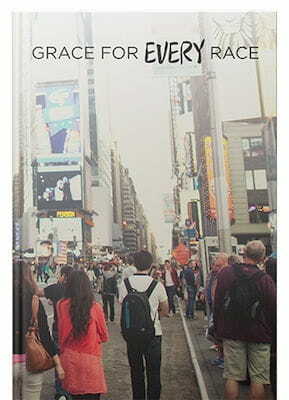 Grace for Every Race is our thank-you for your donation to help take the timeless truths of God’s Word to more people. So please request your copy when you give today. We’re grateful for you support!